Every so often I get a press release that I feel I just have to post to my blog - and this is one of them. 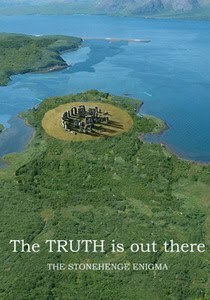 It is about a book called Prehistoric Britain: The Stonehenge Enigma, which offers a new theory about the original purpose of England's most famous stone circle. There have been many different theories put forward about what Stonehenge was used for. Some are more plausible than others - but the mystery remains and new interpretations of the meaning of the stones are always interesting. I haven't got a copy of The Stonehenge Enigma yet myself, but I'm going to try to get hold of one - it could be just the thing to read after my review yesterday of Avebury Cosmos - a book about Avebury stone circle. At 4:52 on June 21st 2011 the sun will creep over the horizon, then the revered Heel stone of Stonehenge, watched in ore by 10,000 common spectators and Druids alike. Little do they know they have turned up prematurely at Britain's most ancient prehistoric historical event. 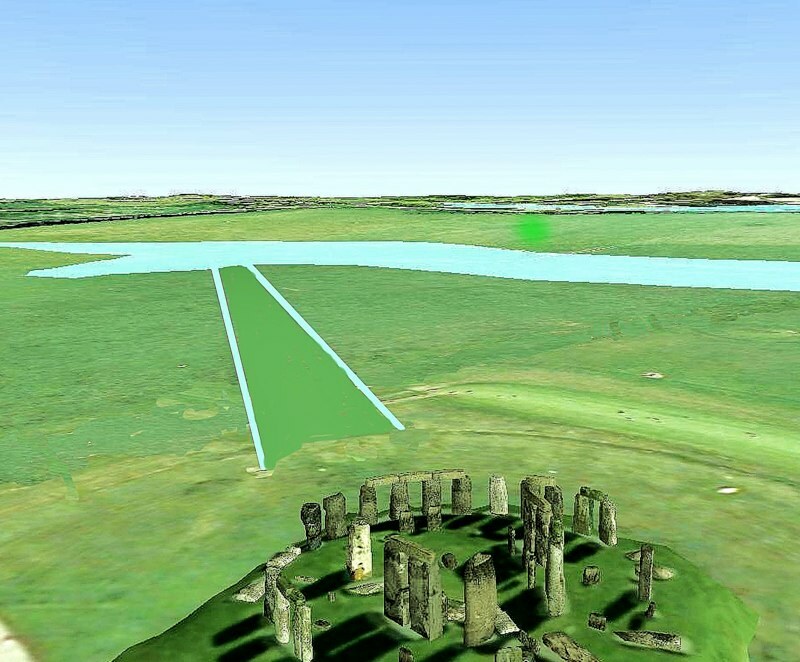 For Stonehenge was ORIGINALLY built NOT to observe the midsummer solstice sunrise as commonly believed, but more significantly the midsummer SUNSET and MOON SET occurring some 17 hours later in the opposite direction! In a new book ‘The Stonehenge Enigma’ launched this month, Archaeologist Robert John Langdon, states in great detail that the true purpose of Stonehenge was to pay homage to the dead and departing spirits leaving to the next world and NOT to worship the sun and rebirth as currently thought. This revolutionary book proves that archaeologists have only scratched the surface of the historic significance of this world heritage site and have also grossly miscalculated the age of the structure, which accepted carbon dating evidence found in the visitor's Car Park has shown it is 5,000 years older than the experts currently claim and was therefore built around 8,000 BC, making it the oldest prehistoric monument in the world. In this ancient landscape, Stonehenge was constructed not on a grassy plain we see today, but on a peninsula surrounded on three sides by the river Avon, which had swelled out of proportion, directly after the last Ice Age. This excess of water was created when the two miles of ice that covered our land for over 15,000 years finally melted, flooding the entire landscape, leaving not the Britain we know today but a series of smaller islands and gigantic waterways. 'The Stonehenge Enigma' is the most controversial archaeological book ever written. It contains over forty pieces of scientific evidence, such as carbon dating, to support Langdon's hypothesis that over 10,000 years ago lived a great 'lost' civilisation that lived and traded on this network of rivers and flood plains. This 'advanced' civilisation, did not roam the land as the hunter-gatherers that history portrays, but in fact lived on reed boats that could not only navigate the internal waterways of ancient Britain, but also travel the 'known world' to trade. These boats were the method used to transport the huge Bluestones from the Preseli mountains in Wales to the site at Stonehenge, negating the need to 'drag' them across Salisbury plain. The most compelling evidence for the existence of this 'lost civilisation' is found at the end of the book where written evidence from one of the worlds most famous ancient philosophers, identifies this civilisation. 'The Stonehenge Enigma' not only rewrites British history and the understanding of the development of our society, but moreover, rewrites the history of the world as Langdon proves that this civilisation was the 'birth place' of our civilisation which has yet to be recognised by historians or archaeologists. The full article can be found on Robert Langdon's blog site www.the-stonehenge-enigma.info. You can order Prehistoric Britain: The Stonehenge Enigma on Amazon.